You may remember I was conducting a small experiment to find a solution to handling a large volume of fire and forget transactions against a postcode database. In the original post I used RabbitMQ, my queue of choice. Initially loading 200,000 messages was slowing the processing consumers down a lot. Even so, an ongoing queue was processed at 812 messages a second with a reasonable 4 minutes processing time. Hadoop is designed for batch work so I already knew it was going to perform better. Porting the code wasn’t a big deal (it’s just a query to MySQL) and the volume of queries some BigData experts would actually question why I was using Hadoop in the first place. The mantra of “if it’s not in Petabytes then it’s not big data”, yeah I get that but I want to batch process so that’s that. So how fast was it? Well all 200,000 requests were queried and the results written to an outputter (no reducer, no need – NullWritable was used) and it completed it in 51.76 seconds. Or 3864.98 requests a second. Not bad going. What this isn’t is a one is better than the other comparison. 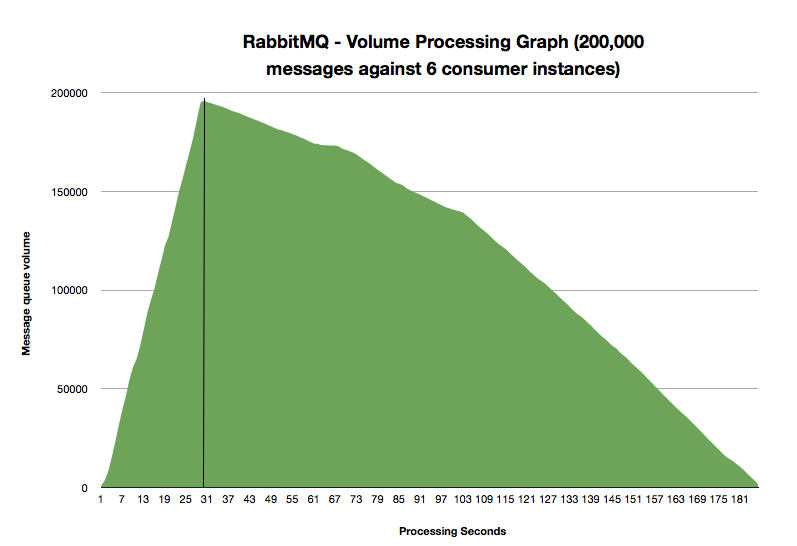 Already we’re not really using RabbitMQ for it’s strong points and I’m pushing it with a huge request load. So the results aren’t much of a surprise. If you can batch up requests then yes Hadoop wins for me no worries at all. Streaming the requests in adhoc and I still think RabbitMQ is the way to go. The next challenge is combining the two to sense volume load, switching between the two processors to get the best processed solution for the customer. Another round of tinkering for another day I think…. All these retailers have two things in common, a large customer base and secondly a supporting ecosystem that can upsell, track and monitor what you are doing. It’s a trade off…. I predicted a few years ago that Tesco really needed to shift Clubcard holders onto a mobile device. At the time I was meaning the phone (2010 and the iPhone stronghold was in place). 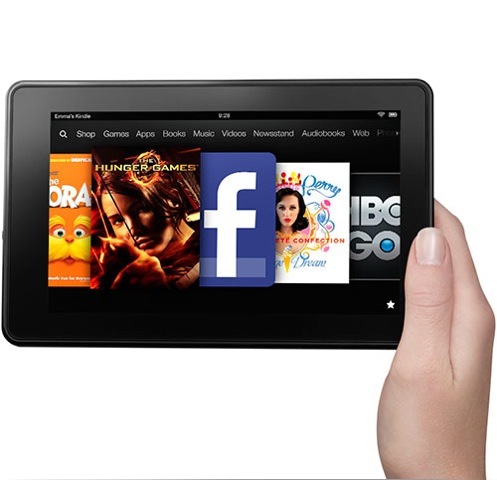 In the last 12 months tablets have become the second screen and are gaining in popularity among consumers. It’s the ecosystem Stu pot! Tesco have invested into streaming TV services (Clubcard TV), films (Blinkbox) and it’s existing banking services. Couple this with your Clubcard and there’s some serious targeted advertising that can happen. Learning from Target once you figure out the sweet spot to finding the method the customer responds to the most (phone call, direct mailing, app, SMS message, email and so on) then you can tailor the message and save money on the postage. This not about selling a tablet computer just before Christmas, this is so much more than that. 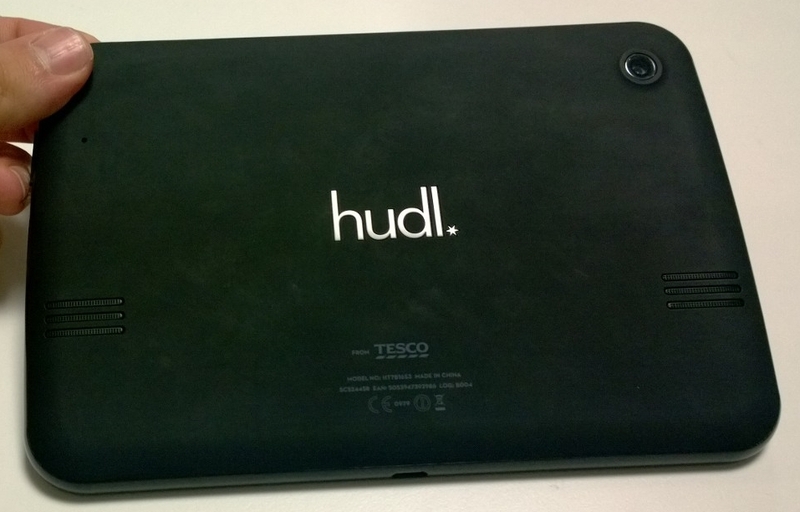 Tesco aren’t the first retailer to bring their own tablet out, Next tried in to 2010. The market wasn’t ready, the £180 price point was out of reach for most (though much cheaper than the iPad) and the quality of the technology wasn’t quite there. It never took off for Next. On the opposite side of the coin you have Waterstones whole started out selling the Sony book reader with it’s own ecosystem. Last year it ceased selling Sony and started stocking Amazon Kindle devices instead. It’s a large disjoint as obviously Kindle users are purchasing from Amazon, not Waterstones and the mail outs from the high street bookseller carry a heavy disclaimer that ebooks purchased from Waterstones won’t work on the Kindle. The day Waterstones switched to the Kindle I’m sure the retail industry was reacting with, “Hey, wha’ happen?“. The final question has to be, “Are Tesco too late?”. Both Amazon and Google (and that Apple company) have had tablet devices out for a long while now. Is the peak purchase of these devices over yet or is the incline of tablet sales still happening? Then there’s the creepy factor to take into consideration. Once you’re account info is stored then you’re a producer of content for them to learn off. Tesco’s have many years of experience with the data though I’m sure SAS will be creeking at the sides by now…. So the fact remains, if you want to get ahead you need to be the ecosystem not contributing to it. The upgrade from Java6 to Java7 over the weekend was always going to cause me some headaches. One of them seems to be signing jar files to install on Android. On closer inspection Android doesn’t really support Java7. I’ve sung RabbitMQ’s praises for a long time now, it’s powered the messaging for a number of my personal projects, it’s well supported and the documentation and tutorials are some of the clearest I’ve come across. Call me an advocate. Over the last short while I’ve been thinking about message volume. What happens when a client wants a batch of 200,000 items to be queued a processed, what’s the time take and the knock on effect (if there is one)? Seems fast enough for me. Then with that saved in a text file I can reuse at will. The consumer is basic, it takes the message and fetches the lat and lon from the database then prints the answers. It’s a fire and forget call. The basic queue won’t process another message until this one is finished. System.out.println(doWork(message) + " to tag "
We can run any number of these but I’ll run six of them for the moment. We need a piece of code to send our postcodes to the message queue. It’s a case of reading the text file of 200,000 postcodes and publishing them to the queue, what happens after that is all down to the queue. Lovely thing with RabbitMQ is that is the queue dies and needs restarted the unprocessed messages carry on where they left off. So, 200,000 messages to six consumer instances. Total time was 294 seconds (4 minutes and 54 seconds). Here’s the interesting part. While the publisher was hammering the queue with new messages it ran for the first 54 seconds at processing 92 messages a second. I’m cool with that. Once the queue was populated then it took off. 240 seconds to process the remain 195,032 messages at a rate of 812.6 a second. Now that’s not bad going. This got me thinking if there was a way of increasing the performance of the publisher. The bottle neck is here was while the publisher is delivering messages it’s taking precious time from the queue. Firing up more consumers won’t make much difference, well not until the queue has been fully formed. As it stands it’s taking 19% of the total processing time to work just 2.5% of the queue. One idea I had was the use a thread pool in the publisher, essentially paralleling the publisher to fire out more messages. Started off well but then the publisher got upset, the thread pool buckled and the consumers had no idea what was going on. The search for volume based queue enlightenment continues…. Hadoop, the technology caught in the eye of the big data marketers. A simple concept but one that has changed the way we do things in regards to how data is processed. I would wager for most users and businesses that a single node cluster will be fine. Running things in local mode (as I did with Surgeon scripts) keep things simple. There are times though you just want to do things properly. Assuming that we have the tar file downloaded from the Apache Mirrors we can uncompress it in a directory of our choosing. export HADOOP_SSH_OPS="-p <my ssh port>"
Next, create a rsa key on your machine but make sure it’s passwordless. Now copy that file to the authorised keys on the same machine. Export Hadoop’s bin path to your working path. When reformatting the namenode and you’re prompted Y or N to proceed make sure you enter “Y” and not “y”, it’s case sensitive. Something that’s tripped me up many a time. Hadoop will then process the job. To see the results we need to copy back the result data from the HDFS filesystem back to our local filesystem. Stop the server (no point wasting memory). Next time I’ll cover something a bit more meaty but I get this one asked a lot, so I thought I’d cover it now. Your role in Social Media…. It never dies, it never will and it will come back to advertise to you later. You all may continue indefinitely. I’ve never had the time to invest in Scala but it has it’s uses for Java work. For a quick and handy test of those we reminders you need once in a while use the Scala shell, it saves diving in to your IDE and coding up something quick. Welcome to Scala version 2.9.2 (Java HotSpot(TM) 64-Bit Server VM, Java 1.6.0_51).